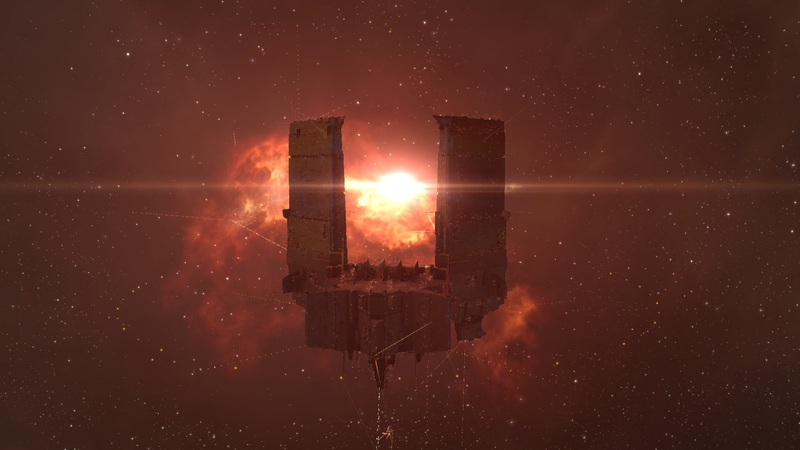 As of last night on the 25th of March the Escalating Entropy [CHAOS] keepstar class citadel located in Vey was transferred to Northern Coalition. Escalating Entropy, an alliance that was founded in April of 2016 by a number of corporations (Pure Avarice., Ice Fire Warriors, What Could Go Wrong, Heretic Army, and Doughboys) who left Snuff Box following their attack and destruction of 190bn ISK worth of friendly Shadow Cartel supercarriers. You can read more information on that battle in an interview between Snuff Box’s D0nnieDark0 and Shadow Cartel’s Paquito on Crossing Zebras. The 6 founding corporations swelled the ranks of Escalating Entropy with over 400 highly skilled and experienced pilots. They quickly built a large member base doubling it to over 1000 within five months and peaking at approximately 1,500 by the end of December 2016. This also included at least twelve titan class and over 40 super carrier class super capitals. Escalating Entropy was deployed from the low-security faction warfare system of Vey located in the Placid region. 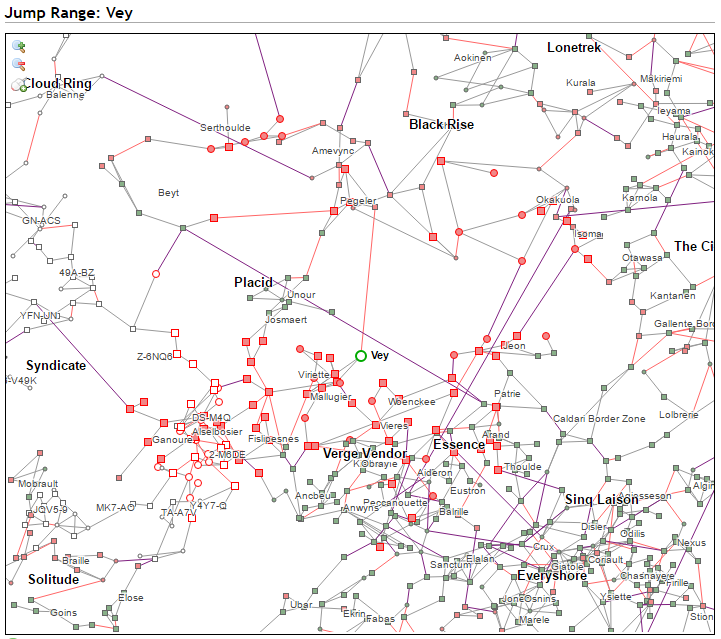 Logistically the system is within Jump freighter range of Gallente, Caldari and Amarr high-security space and allows for a large regional footprint for capitals. As a result it presents itself as an important strategic stronghold for the region for any capital capable alliance. The alliance and the system of Vey were thrust into the spotlight after Escalating Entropy deployed a Keepstar in the system causing a large three-hour battle on the 18th of December 2016 as the anchoring of the structure was completed. 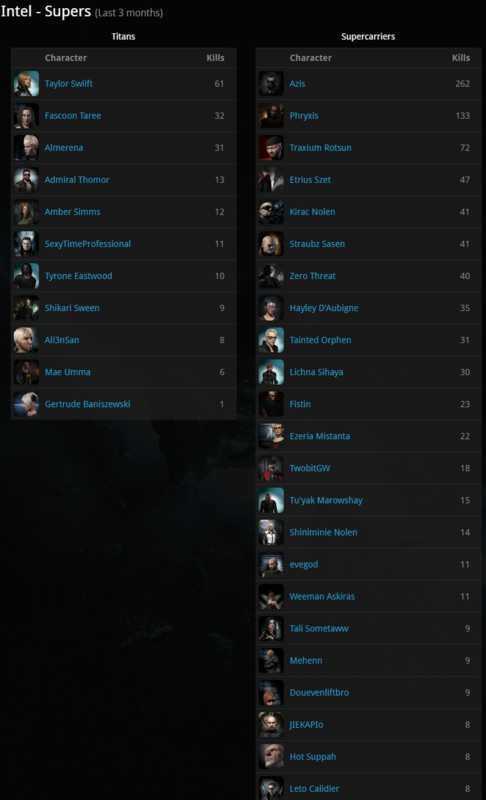 The battle itself involved almost 3,000 players and resulted in over 185bn ISK being destroyed. Forces friendly to Escalating Entropy which included alliances such as Pandemic Horde, Shadow Cartel, Mercenary Coalition, Northern Coalition, Pandemic Legion, Spaceship Samurai and many others fought off an attacking force from Goonswarm Federation, Test Alliance Please Ignore, The Initiative., Snuffed out, WAFFLES., Project.Mayhem. and others to successfully anchor the structure. Following the battle, Escalating Entropy activity skyrocketed with the killboard racking up an impressive 7,626 kills for the month of December and again 6,158 for January as they made full use of its new Keepstar fortress to project its power in the Placid region. Riding high on this wave of high activity Escalating Entropy leadership announced on the 14th of January a campaign to take on the NPC Nullsec alliance The Initiative. who lived in the neighboring region of Syndicate. You can listen to the full announcement below which sparked a highly critical discussion on Reddit calling into question Escalating Entropy’s decision to attempt to harass and remove an alliance with double their own numbers from NPC null security space. …some of the leaks are made up, or modified to give false drama. Punchy’s reasons for taking a break, for instance, were conveniently “[redacted]” where simply posting his whole post would have made it clear there was no drama to be found there. Despite this split in opinion, posts continued to appear on reddit. The first post indicates the alliance was not replacing ships and so members relied on their own sources of income in order to replace ships lost in battles. This appears to have been affecting participation as leadership began threatening line members to join fleets or be destroyed. The final culmination of these posts shows a screen shot with a message indicating that the alliance was to close the door once and for all. You can see the original image here. Since the announcement posted on the 16th of February, 14 corporations and over 1,000 members left the alliance scattering all over the map joining alliances such as Circle-Of-Two, Pandemic Legion, Shadow Cartel, or simply forming their own. The final corporation left on the 18th of March leaving Escalating Entropy with just the Executor Corporation and sole remaining founding corporation Doughboys with 32 members. This, however, left the single largest remaining asset still under control of Escalating Entropy; the Vey Keepstar. It has been reported that for a number of weeks that the remaining persons within Escalating Entropy have been trying to find a potential buyer for the structure. It was only until the veteran Nullsec PvP alliance Northern Coalition. completed a recent move from its home territory in Tribute and Vale of the Silent to the nearby system of Barleguet that an entity with the resources to both buy and protect the keepstar presented itself. This also allows the alliance access to the same strategic foothold and power projection previously enjoyed by Escalating Entropy. With the sale of this final asset for an unknown amount, Escalating Entropy has now closed, at least for the foreseeable future. Past members of Escalating Entropy were reached out to via contacts but, at the time of publishing this article, have yet to reply. If sufficient feedback is received a follow-up article will be posted. 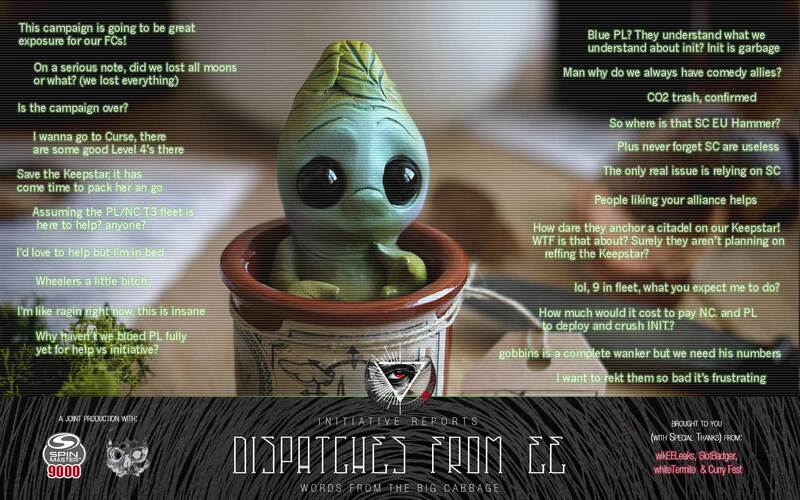 A propaganda image from The Initiative posted by SistahBliss on reddit. Your style is so unique in comparison to other people I’ve read stuff from. I appreciate you for posting when you have the opportunity, Guess I’ll just bookmark this blog. That is a great tip particularly to those fresh to the blogosphere. Brief but very precise info… Thank you for sharing this one. A must read post! You need to be a part of a contest for one of the finest blogs on the net. I am going to recommend this site! Hi! I simply would like to offer you a big thumbs up for the excellent info you have here on this post. I will be coming back to your site for more soon. You are so cool! I don’t believe I have read through a single thing like this before. So nice to find somebody with genuine thoughts on this subject matter. Seriously.. thank you for starting this up. This website is something that is needed on the internet, someone with a little originality! it will be renowned, due to its quality contents. Keep up the good work! Thanks. I simply had to say thanks yet again. I do not know the things I would have made to happen in the absence of those ways contributed by you relating to such a theme. It previously was a real terrifying circumstance in my circumstances, but noticing your specialized fashion you processed the issue forced me to jump with gladness. I’m happy for your information and then believe you comprehend what a powerful job that you’re getting into educating some other people through the use of a web site. I know that you have never come across any of us. Looks realy great! Thanks for the post. Leave a Reply to Aurelio Click here to cancel reply. COPYRIGHT NOTICE EVE Online, the EVE logo, EVE and all associated logos and designs are the intellectual property of CCP hf. All artwork, screenshots, characters, vehicles, storylines, world facts or other recognizable features of the intellectual property relating to these trademarks are likewise the intellectual property of CCP hf. EVE Online and the EVE logo are the registered trademarks of CCP hf. All rights are reserved worldwide. All other trademarks are the property of their respective owners. CCP hf. has granted permission to Evenews24.com to use EVE Online and all associated logos and designs for promotional and information purposes on its website but does not endorse, and is not in any way affiliated with, Evenews24.com or Gamitsu.com. CCP is in no way responsible for the content on or functioning of this website, nor can it be liable for any damage arising from the use of this website.